MOMO’s “Model 88” steering wheel is a very popular 3 spoke flat dish steering wheel trimmed in suede. Features an anticorodal aluminium body. The unit features a flat bottom for easy access. 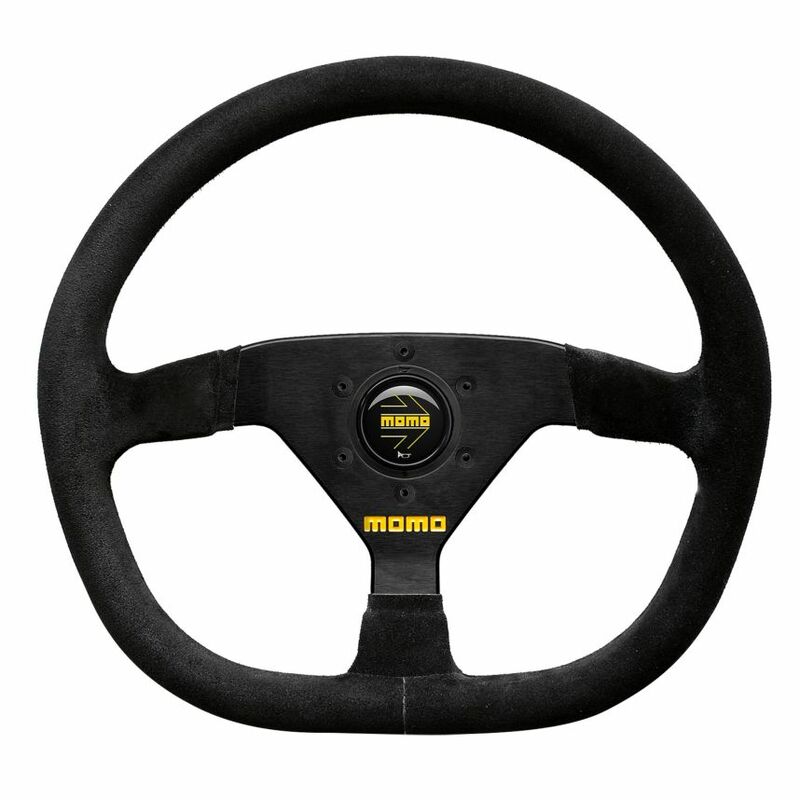 Designed to fit all standard Momo, OMP, and Sparco type boss kits.